Don't forget that Wednesday is National Signing Day, Part Two! 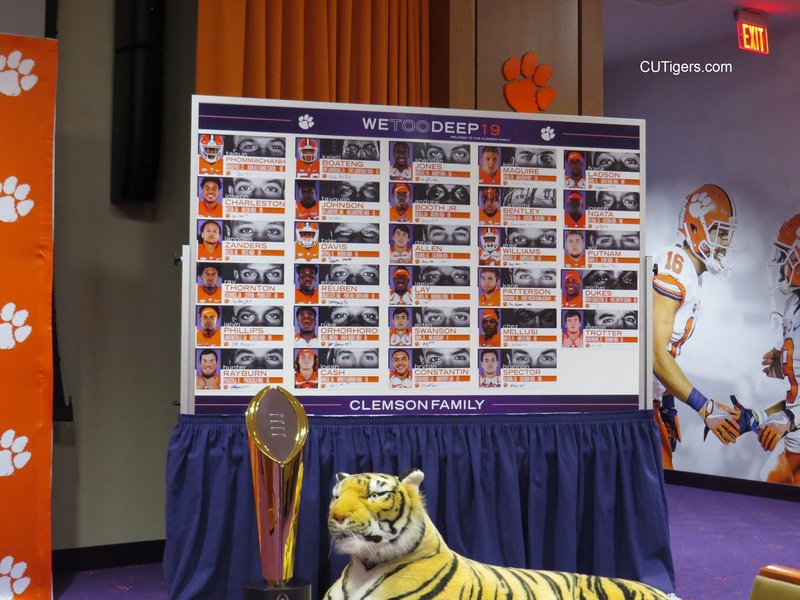 I'll have coverage of the last signees and our wrap-up interview with Dabo for you. Most of the hay is in the barn for the Tigers, who have 27 signed already and one more 3-star RB commitment from Michel Dukes last week. They will likely add a couple more tomorrow, but the biggest one to watch is 5-star RB Jerrion Ealy from Mississippi. He is high on the Tigers, but he is expected to be a first-round MLB pick this spring, so no one knows at this time if he will even play college football. It's a very similar situation to Heisman winner Kyler Murray, except he was drafted in the top-10 by the A's last spring, after he had already played college football. Interestingly, Kyler Murray was recruited by Chad Morris and also had a lot of interest in Clemson, but the Tigers had Deshaun Watson for the next couple years, so Murray signed with Texas A&M, later transferring to Oklahoma. Clemson would obviously be one of the premier choices for a prospect to play football and baseball at the highest level. Regardless of the baseball issue, Ealy will announce his school of choice tomorrow at NOON ET on ESPN2, and it looks like it will come down to the Tigers and the home town school, Ole Miss. Stay tuned! The Tigers signed 2-star OL Mason Trotter from Dorman High this morning. He will gray shirt. Cade Stewart was a gray shirt OL a couple years ago, and he started a couple games this season. The Tigers have had a good relationship with Dorman over the years. They signed another OL from Dorman in Jordan McFadden last year, and Charone Peake and Adam Humphries were both Dorman products. Don't forget that Jerrion Ealy is making his big announcement a little after noon on ESPN2. I'll have more in a bit! Ealy just announced he will sign with the home town school, Ole Miss. Would have been nice icing on the cake for NSD, but who knows if he will even play college football with his MLB prospects. 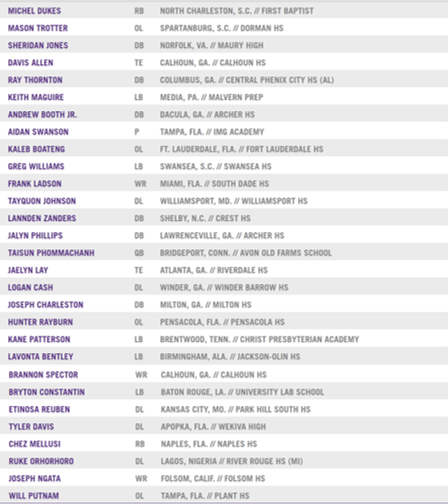 The Tigers have a school-record 17 mid-year enrollees on campus right now. I'll have our press conference with Dabo and Recruiting Coordinator Brandon Streeter posted in a bit. Stay tuned!